Music making is the best way of expressing your emotions and feelings especially if you are a musician. You will be able to come up with music which you can’t only related but for your listeners also to feel what you are trying to say. You will be able to build interaction and at the same time, your ability to let them out their emotions through your music is much more of an influence. However, as you dedicate so much of your time in music making, have you ever experienced serious pain because of rigid music making? Have you ever come to a point where you almost give up because you undergo so much terrible pain and feel like you’re almost dying? Have you ever decided to give up because the tiresome you feel is intolerable? If your response is yes, then maybe it’s time for you to consider and review your health habits to make sure that the pain you’re suffering because of music making won’t get worse. In this article, we’d like to give you some tips on how you can get away with a painful feeling so that you can continue your music making job without risking your health. One of the best qualities that every musician has is being ambitious. Being ambitious means imagining himself soaring high in the music industry and creating music that will create an enormous response from their fans. While this may be true, you have to understand that everything has limitations especially if you are a beginner. Your mental and physical health will be affected if you abuse yourself in creating music too much. Taking care of your physical and mental health as a musician means you have to understand your limitations. You can have a practice every day or create a music piece gradually, but if feel like you need a rest, then take it. When it comes to your voice, some vocal experts like Bohemian Vocal Teacher can ultimately guide you what are the necessary steps you should take in order to take care of your vocal health. I guess it is basic for every career you want to take that once you do a particular task you have to establish the right workflow. You need to manage the things you need to accomplish within the day so you will not be loaded with a lot of workloads in the coming days and would not possibly meet the deadline if you don’t structure them well. The same thing for a musician, whether you are a professional or a beginner, you have to properly produce the right workflow that you need to comply within the day. Set limitations and boundaries and make sure that you also lay out what are your top priorities. Take things easily and manage them well. When you are performing either playing in the band or singing, you have to take practice. It may sound an old cliche but practice always makes things perfect. Your ability to prepare before you head on to a performance will surely give you a fun moment during the show, you know what to do, and you will not be pressured whether you’re going to make an excellent performance or not. For most of us, if we feel something painful we normally self diagnose and heal ourselves. This may be true for temporary pains. 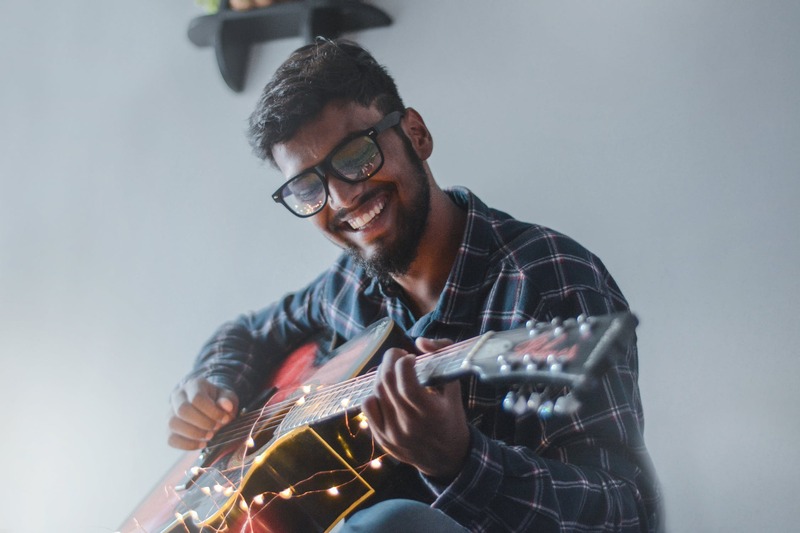 If you are a musician and has feeling acute pains for a long period of time, diagnosing yourself won’t relieve the pain you’re feeling at all. In this case, you need to consult a doctor and should undergo a general check-up. You need this to make sure that you know what your body really feels. Once you have the results from the health expert, they would also be able to provide you the right medication you can take in and the way how should it be taken to make sure that the pain you’re feeling won’t get worse. As a musician, it is true that you exhaust yourself and dedicate all of your time in music making that you skip your meals and instead replace them with unhealthy snacks. Always remember that in order for you to regain your energy because you were exhausted too much in making your music, eating nutritious food will be the best way to gain back what you have lost. Also, find some time to take exercise your muscles and limbs will be stretched and it won’t get still. Studies have shown that prolonged inflexibility of muscle can cause strain which can lead to severe muscle injuries. To avoid that, you have to exercise well and eat nutritious foods.